I can't believe it's already day 15 of #CraftAdvent2015! The days are flying in... which means that Christmas is too and I really need to start getting a bit more organised! Today I'm thrilled to have Jolene from One Yummy Mummy, an award-winning food and parenting blog, to share her really easy recipe for stuffing. I have to confess that I've never made stuffing before - but I reckon even I could handle trying this recipe! Jolene has a huge amount of great family recipes on her blog and I particularly love the sound of her 'Christmas Turkey Bites'. Over to you Jolene! 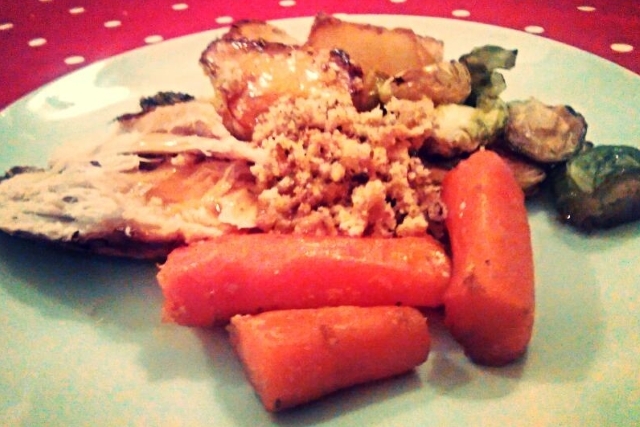 Here's my recipe for a really easy (but very tasty) stuffing. There's no need for salt and pepper as the stock cube seasons it and you can even use a low salt or a salt free one for small children and it will still be yummy. 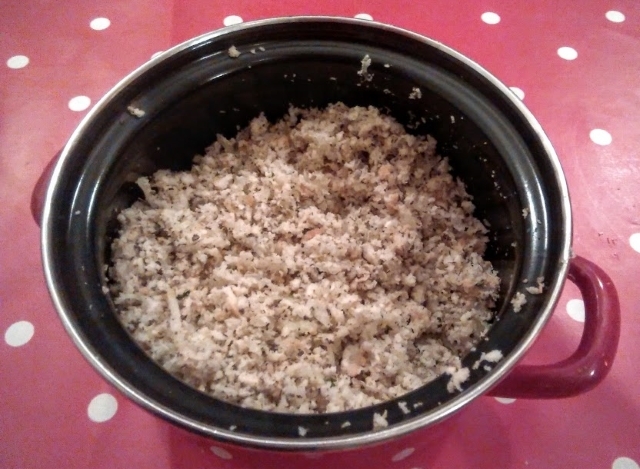 In an oven proof dish add the breadcrumbs stock cube, sage and mix. Grate the onion and mix well into the breadcrumbs. Add in the olive oil and mix again. Cover with a lid or tinfoil and cook for 25 minutes. You can pop it into the oven as your turkey is resting and it'll be ready in perfect time for serving!! !